It’s not every day that you get to feast on really exquisite food. The type that haunts you. Food that, had my taste buds grown individual brains, would be entrenched there for days on end. Food that is faultless. Food presumably served in heaven. A couple of years already in Manila, and unearthed by my mouth only now. Sometimes I can’t believe my own stupidity. Why have I been ignoring its white-and-blue façade all along? 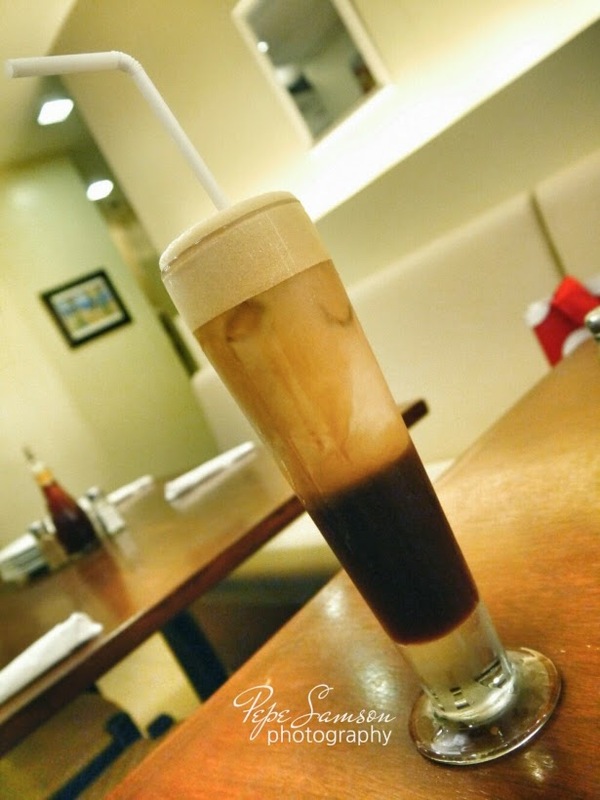 Originally established in Boracay, Cyma may very well be the pioneer of Greek cuisine in Manila—the originator that popularized it and made the Pinoy palate accustomed to new flavors. A few weeks ago, I dined there for the first time, and you know what I think? If Cyma was heaven, I don’t want to descend this filthy earth ever again! Take a look at this plate: an unassuming appetizer—mezedes, as they call it—composed of creamed feta cheese, roasted spicy pepper, and extra virgin olive oil. The tangy-spicy flavor is a trap to make you nibble into these pita bread nonstop. 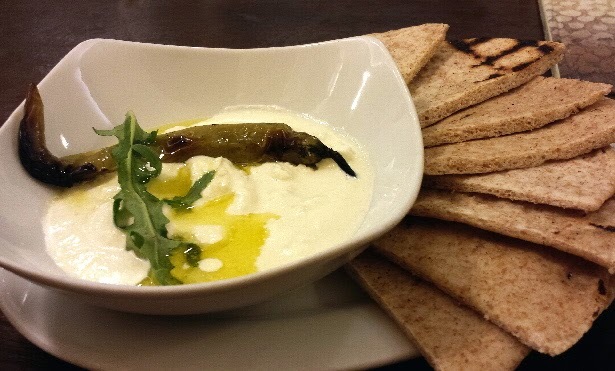 The Htipiti is the kind of dip you would want to take home because you can’t get enough of it—and damn right, we did! More carnivorous than vegetarian, I never thought I would be so charmed by a salad—but Cyma’s Roka Salata assailed my mouth like no salad has ever done. 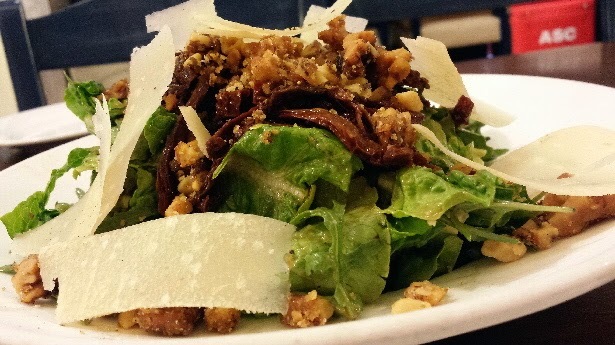 Think of chopped Romaine, arugula and sundried tomatoes: sweetened by candied walnuts, then defiled by shaved parmesan. A Greek vinaigrette hinting of honey and balsamic vinegar finishes the beautiful havoc. 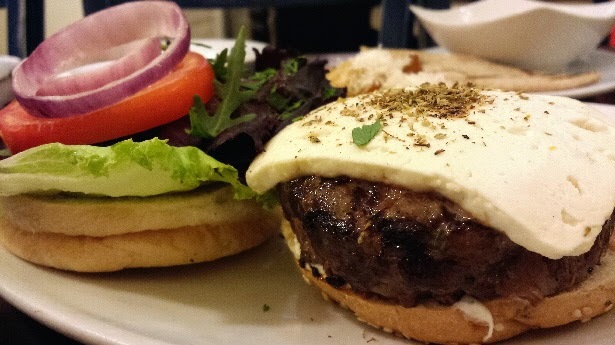 As if Wagyu beef isn’t enough to gratify the pickiest of tongues, Cyma raises it another level by topping it with feta cheese, a cucumber and garlic yogurt sauce, some lettuce, arugula, and humongous slices of tomato. 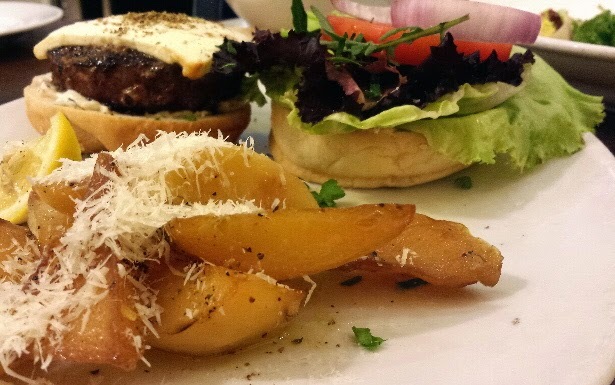 Indeed, the Bifteka Greek Wagyu Burger is one of the most unforgettable sandwiches I’ve ever had. 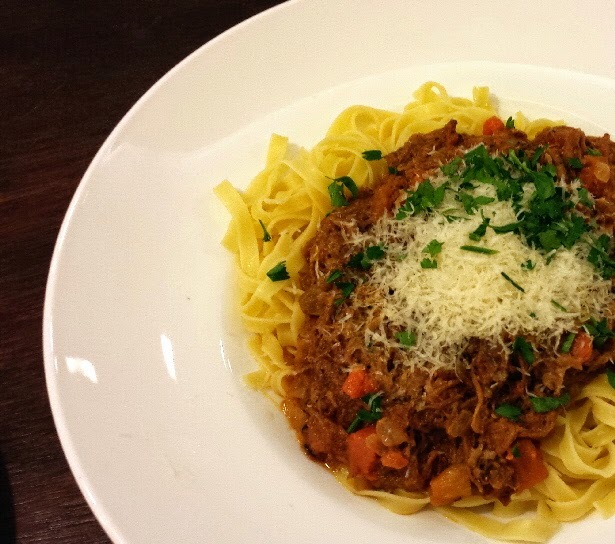 Not eating lamb in a Middle Eastern restaurant is punishable by eternal hunger, so even if it wasn’t lamb chops, I got the Lamb Ragu Tagliatelle: a 4-hour stewed lamb Ragu Bolognese on tagliatelle pasta. Although slightly reminiscent of caldereta (which, by the way, I like), the generous chunks of lamb meat were incredibly soft to the bite. 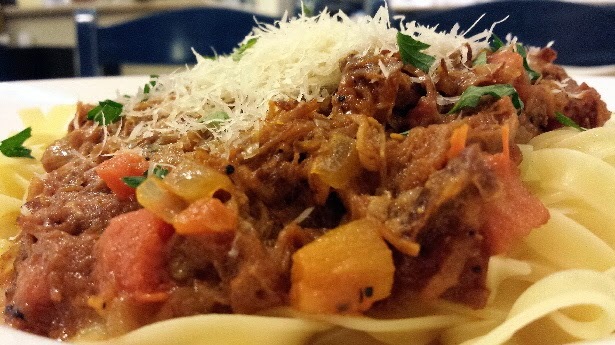 One of the most weird-tasting but delicious pasta dishes I’ve tried. 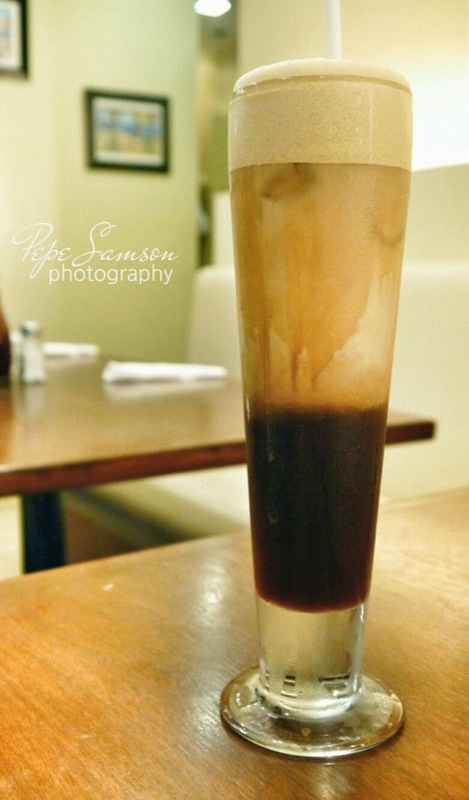 I still had a long night ahead of me, so I ordered some Iced Greek Coffee. It tasted surprisingly light, but helped me stay awake until about five in the morning! For dessert, we had the Flaming Mangoes—a whole ripe mango that is … well, served flaming. Just like what bartenders do with booze. 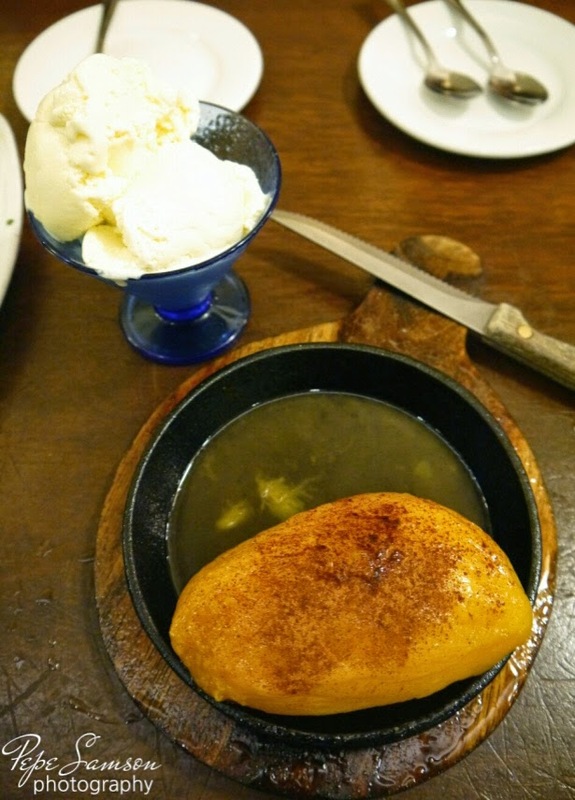 The mango was dashed with cinnamon that amazingly doesn’t become cloying even with the fruit’s inherent sweetness. It’s perfect with the side vanilla ice cream! 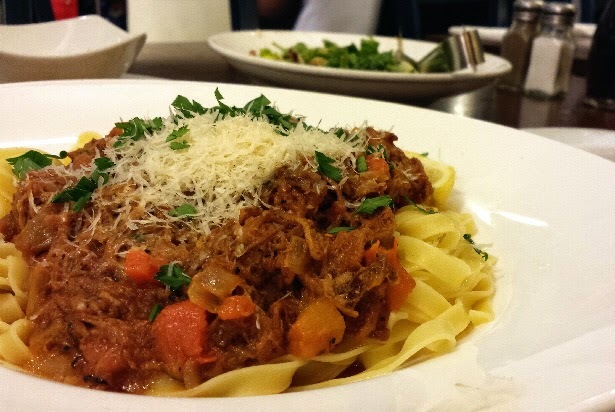 Cyma’s dishes are reasonably priced for their sizes, but you won’t be satisfied with just one—so that’s what makes dining there expensive. Undeniably, Cyma borders a little on the pricey side—a place you can’t visit on a daily basis—but the quality and serving amounts are enough justification. 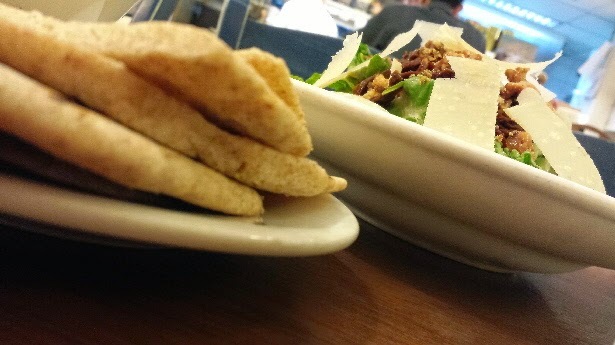 A sudden craving for Greek or Mediterranean food demands a trip to the nearest Cyma. Bring a lot of friends! Remember: the more friends you have, the more dishes you can try. So be at your best and be friendly! Haha! 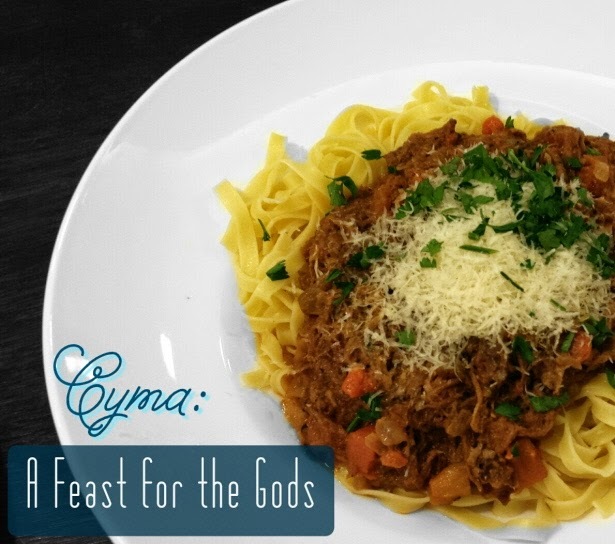 I can’t think of a more suitable adjective than “God-like” to describe the food at Cyma. It’s so easy to get lost while digging into one of their salads, or while sinking your teeth into their burger; so easy to forget that you have company and the food is meant to be passed around and shared; so easy to pretend that you’re somewhere up there getting fed and pampered—as you deserve to be. It’s just too bad there are no gorgeous people walking around in sandals and minimal white and gold fabric. 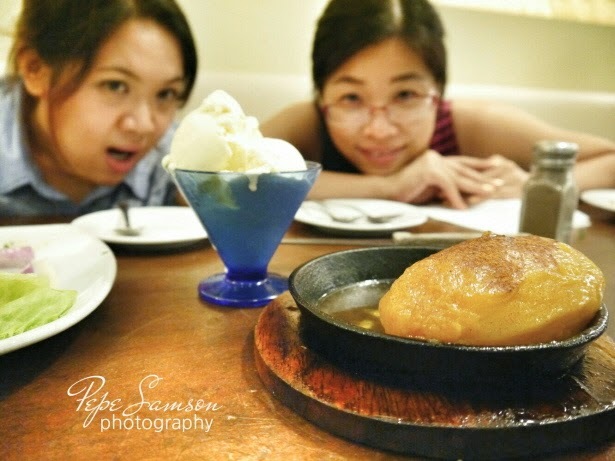 4/F Trinoma Mall, North Ave.
A fan of Cyma? 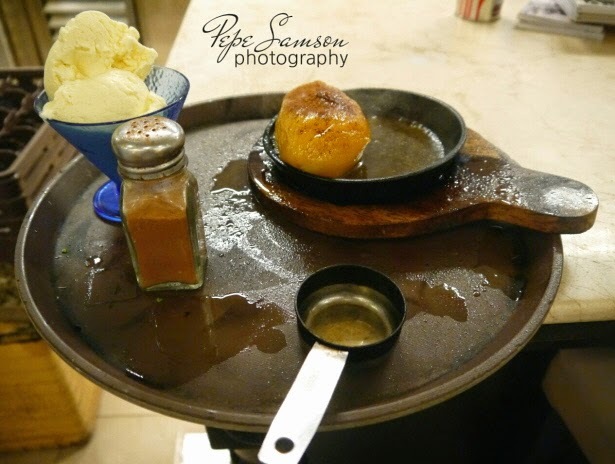 Other Greek restaurants you love and would recommend? Leave a comment below!